With our recent cold weather hiking in the winter may seem like something you wouldn't consider. But winter can be a great time to explore our local park areas. 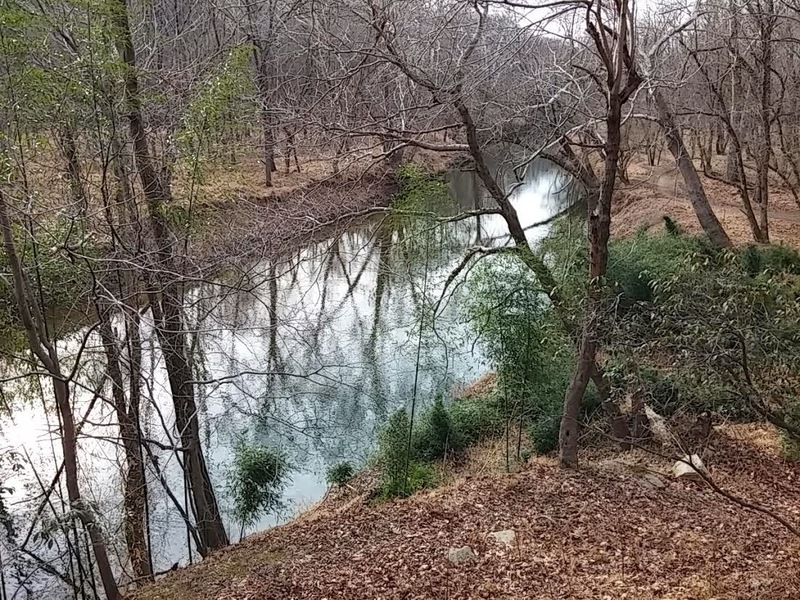 The lack of leaves on the trees gives you views of the parks that you might miss in the summer. 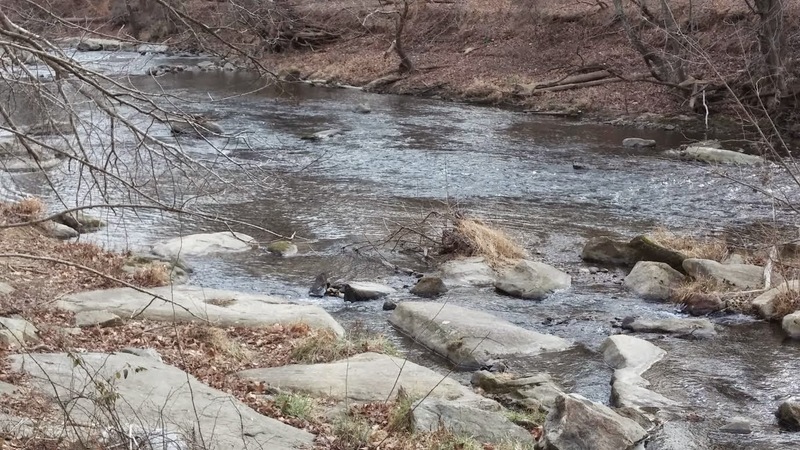 I recently visited the McKeldin Area of the Patapsco State Park. This area is just off of Marriottsville Road. 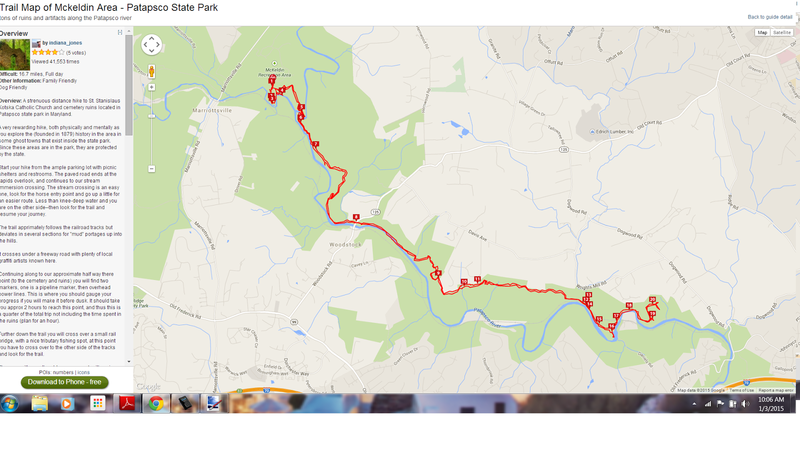 The map below show the trail along the Patapsco River. 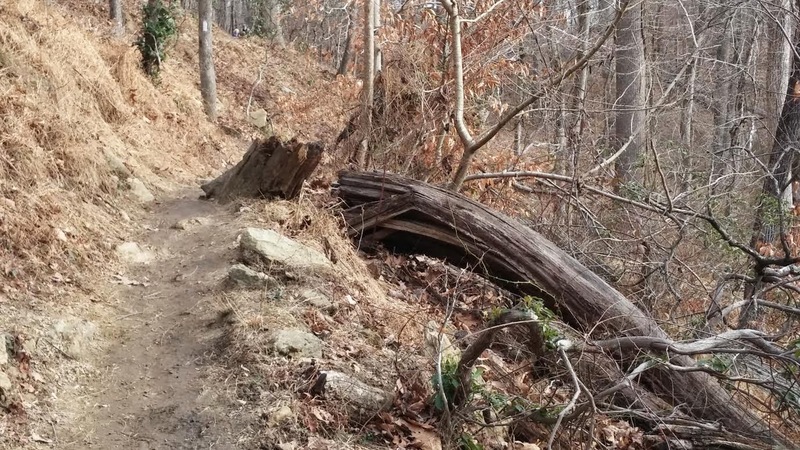 This 16 mile trail is one that can be a full day hike over some hilly areas but for any experienced hiker it provides some scenery that makes the hike very enjoyable. At some points the trail climbs the rolling terrain high above the river. At most points it stays very close to the river. 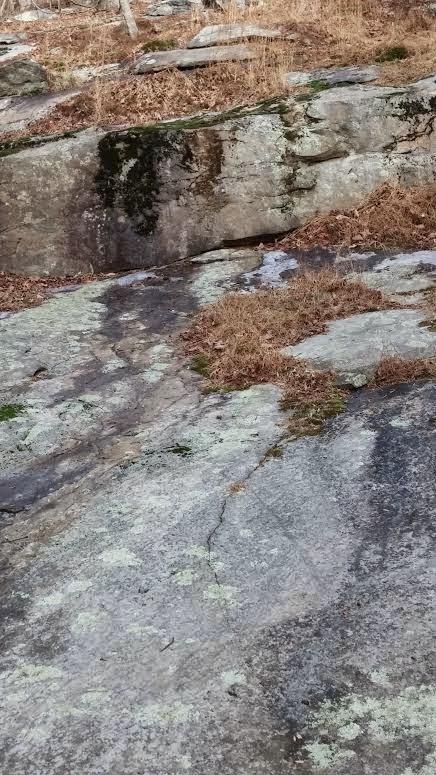 Along the trail you can see the granite outcroppings that once were the basis for the granite industry in the area and gave the name to the town of Granite. 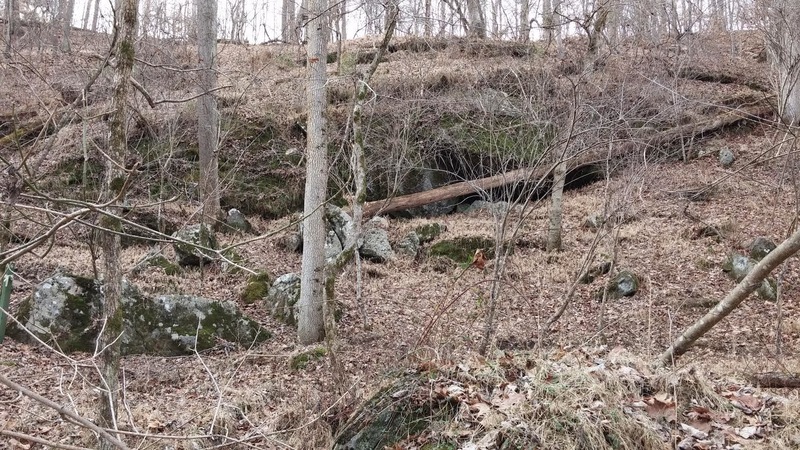 There are even some caves along the trail like the one shown below. 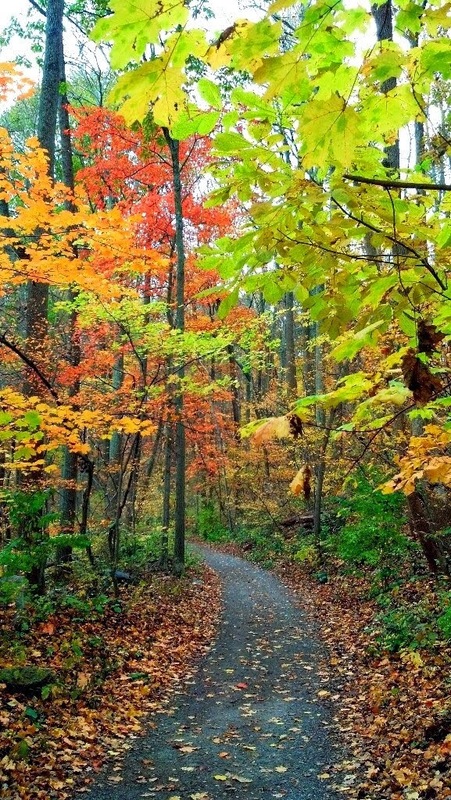 Great volunteer opportunity if you would like to share your love of nature in Howard County. 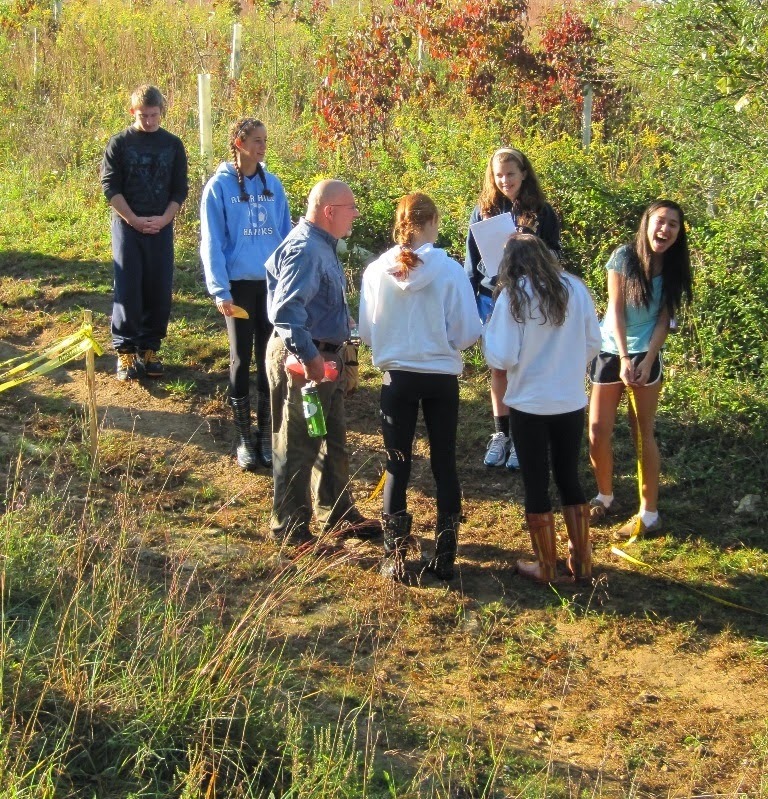 The Howard County Conservancy is now looking for volunteers to take their naturalist training in March. Check it out here. House of Cards is back!!! OK for those of you who have not watched the first two seasons of House of Cards on Netflix you probably don't realize how many of us political junkies will be binge watching the latest episodes of House of Cards today. 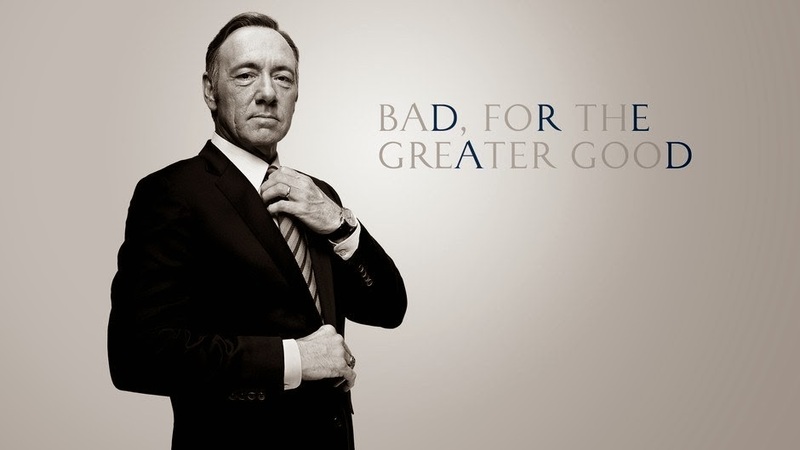 It maybe far fetched how Frank Underwood operates in the rough and tumble would of our Capitol but it is great fun to watch how ruthless a politician can be. This show is worth a year subscription to Netflix. Another side in the immigration debate. Just over a year ago we were all shocked with the shooting that took place in the Columbia Mall. Gun violence is something that is still rare in Howard County. But as Tom Coale recently pointed out in his blog HoCo Rising there is no County law against bringing a gun into a County building. For this reason a bill has been introduced in the Howard County Council to make it illegal to bring a gun into a County building. Public safety officers would be exempted. As noted in an article in the Baltimore Sun, counties in our area have different rules for bringing a gun into a County owned building. It is good to see that soon Howard County will join the other "sane" counties in outlawing guns in our County buildings. I couldn't help with making my political comment in the last sentence. I can't image why any "sane" jurisdiction would not have this type of legislation. 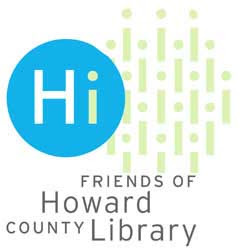 Each year the Howard County Community College, Howard County Library and other community organizations come together to read and discuss a selected book. 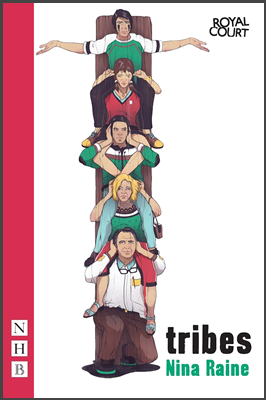 The book selected for this year is Tribes by Nina Raine. The book selected for the 2015-2016 year will be Half the Sky by Nicholas Kristof and Sheryl WuDunn. Join the Book Connection on Monday, February 23, 2015, 2-3:20 PM, in Smith Theatre, for a lively panel discussion of the play Tribes, as well as performances by hearing and deaf actors/faculty and a virtual meeting with author Nina Raine. To nominate a book for the 2016-2017 year click here. We received our gas and electric bill last week and it was the highest I remember in a long, long time. Our cold weather has put a dent in everyone's monthly budget but for many low income families in Howard County it has led to some very tough decisions. Rent or utility bill or medicine. The Fuel Fund of Maryland provides financial support to those families to try and cushion the high utility bills in our County. Here is some information about the program and how to apply. For each additional person, add $338.33 monthly and $4,060 annually. from the fuel fund in the past 12 months. 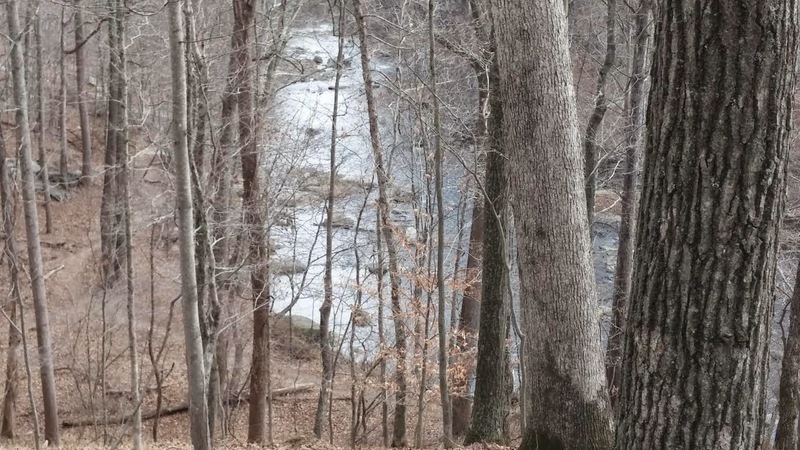 The Fuel Fund is sponsoring a run at Schooley Run Mill Park here in Howard County. 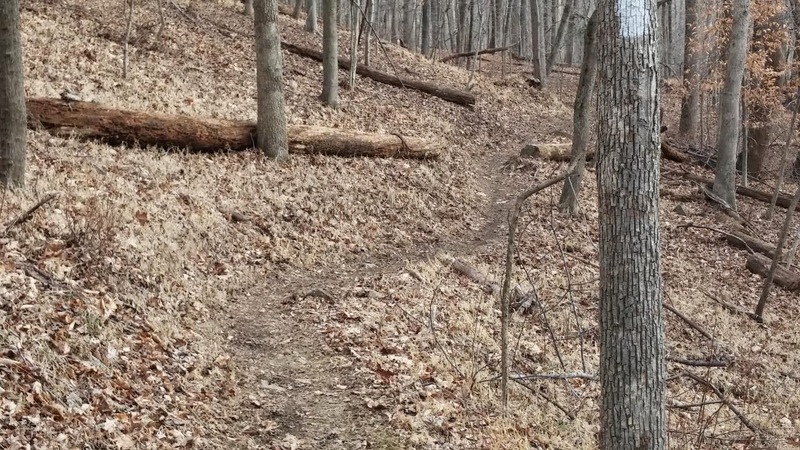 This family friendly event at Schooley Mill Park in Howard County will include a timed 5K trail run and a 1 mile fun run, as well as activities for kids and great exhibits about energy. It takes place on Sunday November 1, day light savings day. Participants will be called to use their extra hour to share the power with others, power that the time change and Fuel Fund programs help us conserve, power that is unaffordable for many families in Maryland. Registration will be available late March. Follow the Fuel Fund on facebook, twitter or on our website for updates. Remember when M&T used Baltimore Ravens in their commercials? After the domestic violence problem with Ray Rice they thought they would be safe using the President of the Ravens but then he became controversial when it appeared the management of the Ravens had seen the videotape of the Rice incident. Royal Farms also had to stop using their commercials using Haloti Ngata when he admitted using Adderall. So I guess M&T is trying to play it safe by now using non-athletes in its "feel good" commercials. 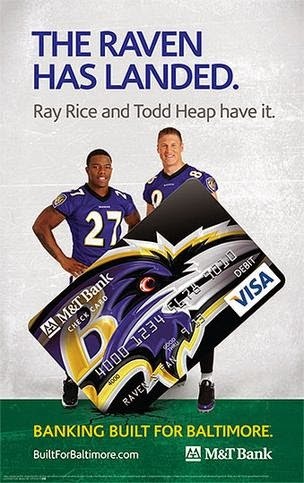 I just miss how this is supposed to make me want to bank with M&T. Why don't they just start giving me more interest on the money I give them? Check out items are in the online auction for the Howard County Library's Evening in the Stacks event. Bidding opens today. "Why don't you ever see the headline 'Psychic Wins Lottery?" I know that January is our coldest and snowiest month but doesn't it seem like February is the month when we are coldest and snowiest? Certainty this year that has been the case. 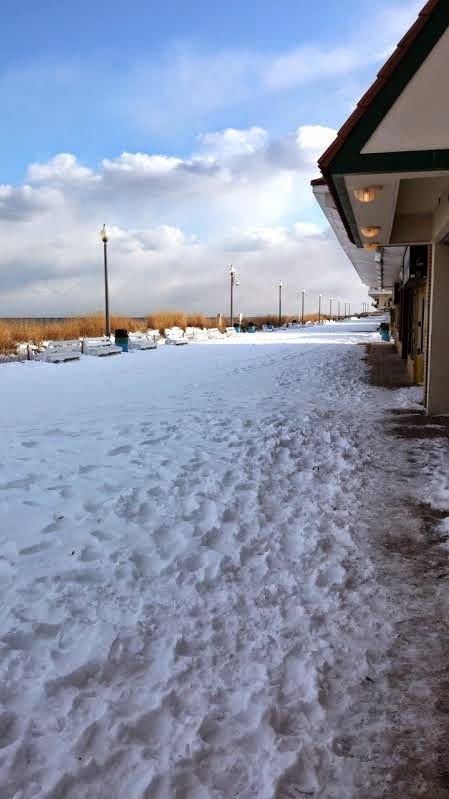 I spent a day in Rehoboth Beach this past week and couldn't help but take a picture of the snow on the Boardwalk. The contrast to what this scene looks like in the Summer was dramatic. In St. Paul, schools will close if the forecast for 6 a.m. calls for a windchill below minus 40 degrees, or air temperature below minus 25 degrees. School officials will make a decision by 6:30 p.m. the night before cancelling classes. Minneapolis, the state's third largest school district, has also developed a cold weather policy. District officials will consider closing schools when the wind chill is minus 35 degrees or below, and more than 6 inches of snow falls in 12 hours or more than 8 inches of snow falls in 24 hours. School officials will try to notify parents by 6 p.m. the night before, or by 5:30 a.m. the morning of the cancellation. Now contrast this with what I ran into in Key West a couple of weeks ago when the temperature was 58 degrees. I went to the local coffee shop that I had been frequenting that week and the person opening the store had on a heavy coat and said he was late opening the store because it had taken him longer to get dressed for the cold! Not sure how he would function in Minnesota. Bacon crust on pizza? Really?? I once did a blog on our obsession with bacon and am always amazed at the popularity of eating a cured piece of pig belly. 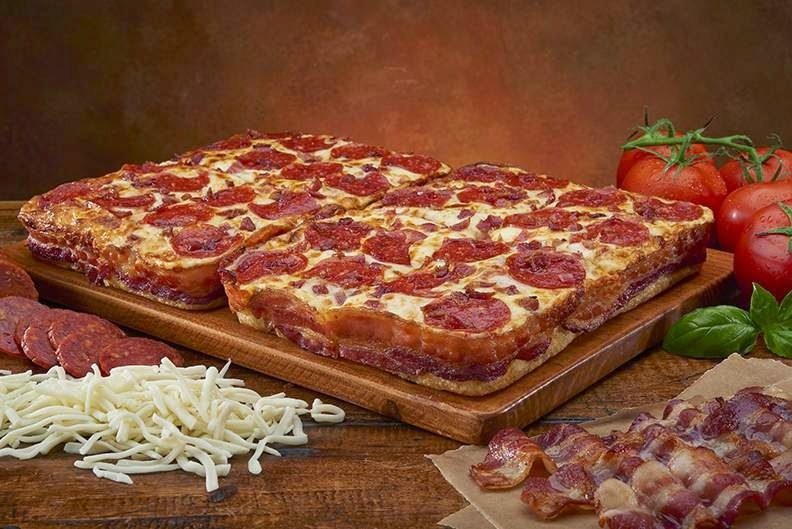 The latest obsession with bacon is the new bacon crust pizza with 3.5 feet of bacon from Little Caesars. Little Caesars has the worst pizza of any of the pizza chains. This is the pizza that everyone orders for kid's birthday parties because it is so cheap and kids eat anything. "Like many food makers and food sellers, Little Caesars is looking for a new way to cash in on the nation's continued infatuation with all things bacon. Domestic bacon sales have climbed for five consecutive years, recently hitting the $4 billion mark, reports research specialist Information Resources. Bacon has shown up in recent years in everything from sundaes at Burger King to milkshakes at Red Robin." Is there any doubt why we have an obesity problem in America??? New guidelines on nutrition. Eggs back on the OK list. Seems like saturated fats still out but cholesterol in food items without saturated fats are safe. Transfats still bad. Plant based diets best. We have become used to having to catch up with Europe when it comes to social issues. Marriage equality and the right to die are just two examples of this. This also is the case with health care and the cost of prescriptions. We pay more and get less than many other western countries. Another area with us not keeping up was brought home to me recently. I recently talked with someone who had recently returned from Europe and was telling me about how amazingly fast the internet is in Europe. The wifi at the hotel they were staying at had a speed of 100/100 Mbps or about four times the speed of what we have offered to us in the United States. In Europe internet service is considered a public utility and regulated on both service offered and cost. As a result the governments are able to negotiate collectively for better service and cost. We here let the limited number of companies available to us tell us what we can get and what it will cost. The European weather predictions have been more accurate because of more powerful computer systems. Europe is also much more advanced on developing "smart cities." So why are we left with what Verizon and Comcast offers us inferior service at inflated prices? Maybe it is overdue for local jurisdictions to look at internet service as a public utility. What Howard County completed 18 months ago in running broadband fiber optic lines to be used for government, schools and public safety should be expanded to include residential users as a public utility. With the weather we have had the past week is it any wonder that our mobility has caused a migration to warmer states? 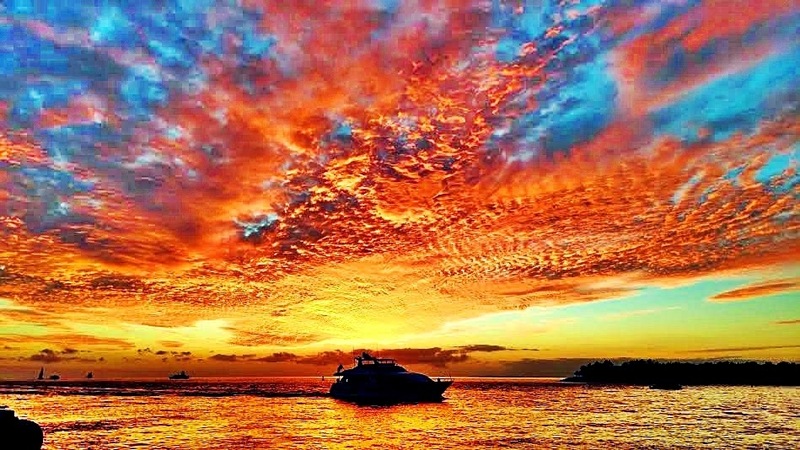 Wouldn't the view above of the setting sun in Key West that I took a couple of weeks ago be appealing after our near zero weather? Trust me, I have been wondering why we choose to live through our winters since my return. Maryland is just above the national average for population growth primarily because of the growth in the Washington DC suburbs. Immigrant growth in our state and Howard County is a major reason for our population growth. HoCo trash and recycling schedule sliding one day this week because of snow storm. Remember the horrible driving conditions this past Saturday evening? When I talked with a relative who delivered pizzas for extra spending money I was surprised to hear they delivered the whole evening in the terrible conditions. I asked if people tipped extra for the drivers bringing pizza on this snowy night. The answer I got surprised me. He said the tips were like normal and there were even the normal no tip deliveries. 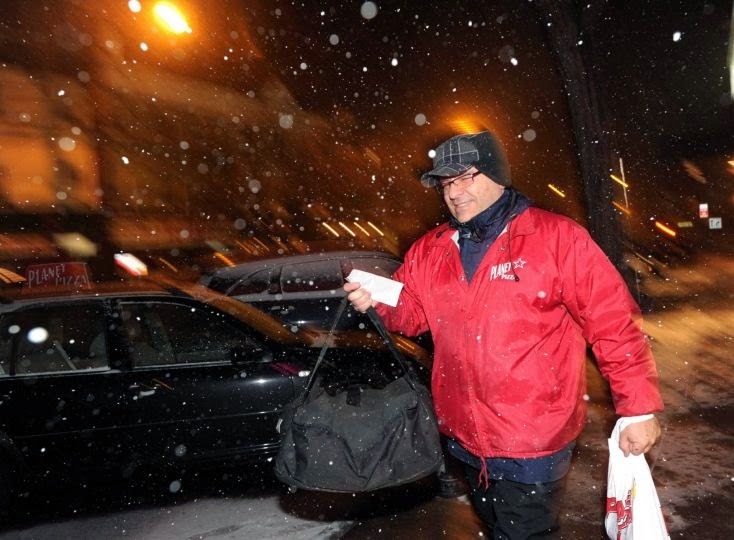 Not tipping a pizza delivery in a driving snowstorm? Really? If you are too cheap to tip a delivery person just "get off your you know what" and pick it up yourself. Just for your information the delivery charge you are charged on pizza goes to the store and not to the delivery person. They work for minimum wages and tips. I haven't had any recent pizza delivery as I prefer my own homemade pizza but I remember usually giving a $20 bill and telling the delivery person to keep the change which was usually $2-$3. I would never have thought to not tip someone who brought me something. This got me thinking about my experience with tipping. I have to admit I tip a greater percentage on a lower cost meal bill than on a higher cost meal bill. I usually do 20-25% on a meal in the $20-$30 range and probably closer to 10% on a $70-$80 bill. I always assume the work for a waiter is the same regardless of the cost of my meal. I am not sure if I am the only one that looks at tipping in this way. I do tip higher for a good experience with a waiter. I would just prefer that employees who work for tips just be paid more and pass the cost on to me in the meal. That way it would be fairer to the wait staff and I wouldn't have to figure out a fair tip. Isn't tipping a custom that has outlived its usefulness? I for one would be glad to see it phased out with a higher minimum wage. I bet the people who don't tip someone delivery pizza also feel they are under paid at their jobs! "Columbia Association’s (CA) citizens academy, Excite Columbia, will be returning soon for its spring 2015 session. The six-week program will be held on Tuesdays beginning onTuesdays, March 24 from 6:30-8:30 pmaand concluding on April 28r. Classes are held at CA Headquarters, 10221 Wincopin Circle. Since 2013, Excite Columbia has educated and informed residents with an in-depth view of how CA operates and serves the community. The citizens academy also provides a forum for CA and community members to interact and engage with one another. Topics covered include a history of CA and Columbia; a breakdown of what CA’s departments do; how CA’s annual charge is calculated and used each year; how the CA Board of Directors runs its meetings; Columbia’s open space; CA’s sports, fitness and health offerings; and CA’s focuses on responsible watershed and energy management. Excite Columbia is open to anyone 18 or older interested in learning more about CA. Registration for the program is required, as there is limited seating. For more information or to register, please visit ColumbiaAssociation.org/Excite. " 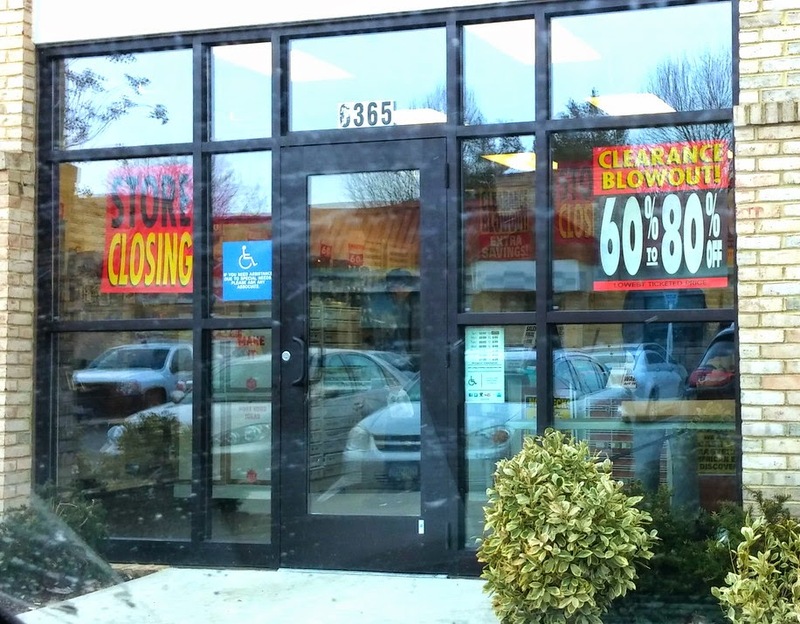 I thought I would go by our local Radio Shack store in Dobbin Center to see what type of deals they had now that they are going out of business. I remember when you went to Radio Shack in the Mall for anything electronic. No Best Buy or Staples existed. 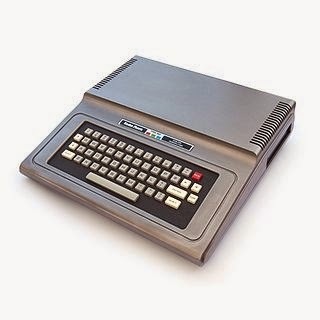 I even bought my first computer from Radio Shack, a TRS-80 shown below. I paid over $500 in 1980 to get 32K memory as the standard memory was only 16K You had to write programs using BASIC and save the programs to a tape in your tape recorder. But hey I was entering the computer age! Now my watch has many times more memory and cost me $25. So what happened to Radio Shack? First thing is the name. What viable business in the 21st century has a name that reminds us of mid 20th century technology. Companies are always hesitant to change their name but if it is no longer relevant it is more dangerous to stay with an outdated name than to transition customers to a new business name. With the pace of technological change today it probably doesn't make sense to have your company named after only one of your products. When was the last time you actually purchased a radio at Radio Shack? The only thing I have purchased at Radio Shack the past couple of years were head phones and batteries. "RadioShack entered the 1980s poised to be the center of the computer revolution. Indeed, in 1977, the company had introduced one of the first mass-produced computers, the TRS-80, and initially outsold Apple using the power of its retail channel and its thousands of locations. But from that perch, RadioShack went nowhere. RadioShack’s computer business lost traction and was eventually made obsolete as companies like IBM and Dell delivered more powerful computers through different channels. Failures abounded. RadioShack phased out its computer business in 1993 along with its circuit board business. That year, too, the company sold its cellphone manufacturing business. Instead of concentrating on RadioShack and building up its offerings, the company tried new concepts with new stores: Computer City to sell computers, Energy Express Plus to sell batteries, Famous Brand Electronics for refurbished electronics, McDuff and Video Concepts for audio and video, and the Incredible Universe, which became the company’s Best Buy knockoff. None of these worked, and all were either closed or sold off by the late 1990s." Radio Shack made the mistake of only wanting to sell products, like computers, that were Radio Shack brands. Software designed for Radio Shack computers could only run on their computers. While Apple has been successful using this model most other retailers have failed with this model exclusivity. If Radio Shack had moved to be the retailer who you could buy a variety of computers, as Staples and Best Buy, they might have been able to survive in this highly competitive market. Computer purchasers wanted the newest and trendiest products regardless of who was manufacturing the product. Radio Shack bet its future relying on its manufacturing model and not in its retailing model. Big mistake. Finally others have felt that the bricks and mortar model of retail that provided the foundation to Radio Shack's business model prevented them from moving quickly enough in the digital world that quickly changed the face of retail business. Radio Shack seems to be following other business that made this mistake like Borders and Kodak before them. The businesses that are so fixed to one product or business model will be highly vulnerable in our rapidly evolving world. Is it hard to predict what the "game changers" our world will experience in the next ten years but those businesses that don't develop the ability to stay ahead of the tech curve may find themselves in Radio Shack's situation in the future. "Books For Kids Day will be on Saturday , May 2nd from 9-2, rain or shine! That means that it is time to start your book drives and help children all over Maryland get the books they need to be successful in life and school. 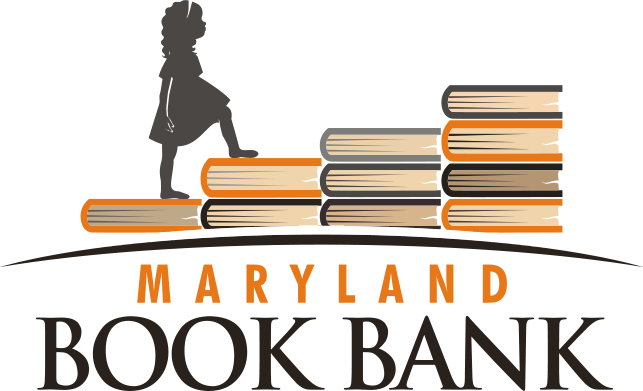 Visit our web site at www.Marylandbookbank.org where you will find information about the event, directions on how to do a book drive and to download the new event flyer to use for your drive. If you or your organization are interested in volunteering for Books For Kids Day you will find a link to our Sign Up Genius page on the site as well. Please help us collect 25,000 books to help thousands of children become the best readers they can be. The sad fact is the number of age appropriate children's books in a low income home is between 0 and 2. We need your help to change that here in Maryland." Congratulations to Carol Beatty the long time Executive Director of the ARC of Howard County with her appointment to be the new Maryland Secretary of the Department of Disabilities. We are used to having Howard County recognized for our high quality of living. We are fortunate to be positioned to take advantage of being between two metropolitan areas that attract a highly educated affluent population But this also has a down side. The high cost of living in Howard County means that low income minimum wage workers in our County live with the reality that one bump in the road could lead them to become homeless. An illness, loss of a job or even reduced work hours could spell the difference between having secure housing or becoming homeless. The recent approval of the County Council to approve a transfer of land for construction of housing for the homeless in Jessup shows how in spite of our high median income we still face many of the same issues of how to handle the homeless population that our more urban areas struggle with. The County Executive and County Council should be commended for their support in addressing the homeless issue in our County. To understand the homeless population you have to realize that there are distinctly different groups of the homeless population. The first and probably most recognized group are those individuals we see on the streets of Baltimore either wandering around with all their possessions or begging on a street corner. Mental illness and addictions has made this population chronically homeless. In Howard County this chronically homeless population may not be as visible but exist in many parts of our Route 1 corridor. Living in wooded areas, in shelters or in other temporary housing situations is a long term way of life. The second group of homeless in our County are those individuals who I would describe as "unstably housed." Depending on their financial situation they maybe renters at times, living with relatives or friends at times or using shelters . Many of this group. are the low income, minimum wage workers in our fast food or hospitality establishments. Addressing the needs of our homeless population need to recognize the differences in these two groups. For the first more chronically homeless population addressing the mental health, health care and addiction issues are essential to addressing their homelessness. Addressing the needs of this population is like a "chicken or egg" situation. How do you address the mental health issues when a person has housing instability issues? The day to day survival of this population makes it difficult to effectively deal with the mental health issues. This fact makes the case for the homeless center being proposed in Jessup. Other communities have had success in using this housing model to address the needs of this population. is unsuccessful to the CSHS. provide rapid access to addictions treatment on request of the homeless in the CSHS. • A Service Coordinator to monitor client progress, data and resource needs." With funding from the County, State and the local United Way this coordinated system has had success in preventing many families in Howard County from becoming homeless. A central intake at Grassroots has been able to identify and access local resources in a coordinated manner to maximize the effectiveness of the interventions. Additionally, ongoing case management services have worked to address the ongoing long term issues that are important for establishing future housing stability. I would be remiss if I didn't highlight one subgroup of the homeless population for special mention. That group is youth aging out of foster care. This population is especially vulnerable because of their often lack of a family or community support system. We may wonder how someone could have no resource to prevent them from becoming homeless. Most of us can identify family or friends we could lean on if we found ourselves homeless but for youth in foster care the system is often unsuccessful in establishing these supports during the youth's stay in foster care. It is not hard to understand the life disruption that being in 10, 20 or more foster care placements can be for a foster youth aging out of the system. Combine this fact with educational and vocational deficits and mental health issues caused by abuse and you can see how this population makes up a disproportionate percentage of our homeless population. In Howard County the Fostering Futures program is working to address the needs of youth aging out of foster care. They are worthy of your support. Latest copy of the Homeless Gazette. Produced by Howard County homeless. Last week's pedestrian death on Route 1 in Elkridge shows the vulnerability of people who are without a car and need to get around our area using the roads without safe pedestrian pathways. Somehow the planning for many of our roads give little consideration to the fact that people without cars would use these roads to get from place to place. If there are no homes on these roads the thought is that no would would need pedestrian pathways. And yet these roads are the ways that many low income workers use to get to their places of employment. Route 1 fits this reality as much as any road in our area. I have blogged repeatedly about the lack of a sidewalk or pedestrian pathway along Dobbin Road in Columbia. My use of Dobbin Road is recreational but for many people this is their only way to their place of employment. This reality was brought home to me again last week. Last Thursday night I was driving along Dobbin Rd and turned my eyes toward an approaching car that had halogen headlights. You know the kind that are brighter than the normal headlight. Sometimes I think they almost look like the driver has on their high beams. When my eyes came back to my side of the road there was a woman walking along the road about 3 feet from the curb. No apparent reflective material that would have helped me see her in the dark. Not to safe to be walking on this heavily traveled road at night with no reflective vest. On my way back home this same woman was walking on the road in the opposite direction. I would seem that this woman is car less and walking is her only way to travel this road. I guess in her mind the road surface is safer for her than the uneven ground off the road. This situation is even more dramatic when we have snow and it is impossible to walk along these roads except in the roadway. Having safe pedestrian pathways on our roads that lead to places of employment should be an important goal to make our County more pedestrian friendly. 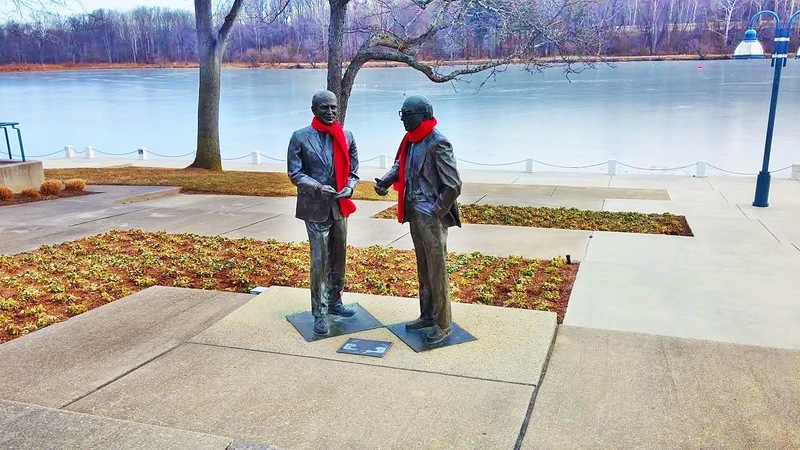 Going by the Lakefront yesterday and a very cold morning I couldn't help but notice the two red scarfs on the Rouse sculptures. At first I thought that was a cute way to show how cold it has been around Columbia recently and then I realized that this might be in remembrance of Dennis Lane who favored wearing a red scarf and would have had a recent birthday. What a nice way to remember Dennis who was so much a part of our community. 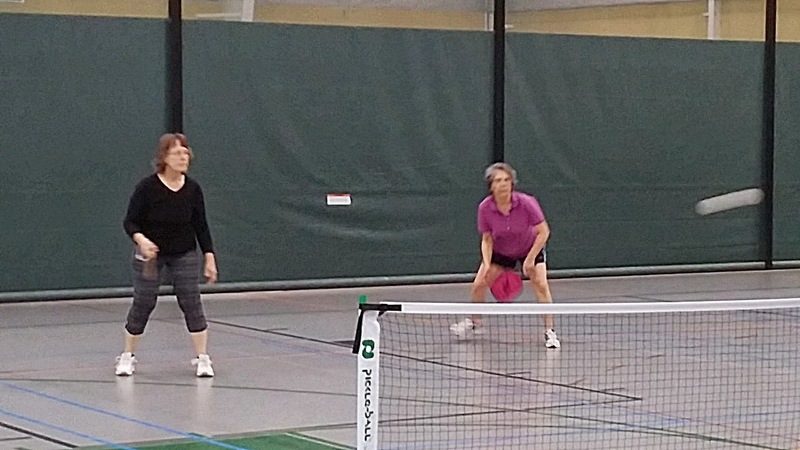 "Currently, the sport of pickleball is exploding in popularity. The number of places to play has nearly doubled since 2010. There are now well over 2,000 locations on the USAPA’s Places to Play map. The spread of the sport is attributed to its popularity within community centers, PE classes, YMCA facilities and retirement communities. The sport continues to grow worldwide as well with many new international clubs forming and national governing bodies now established in Canada and India." 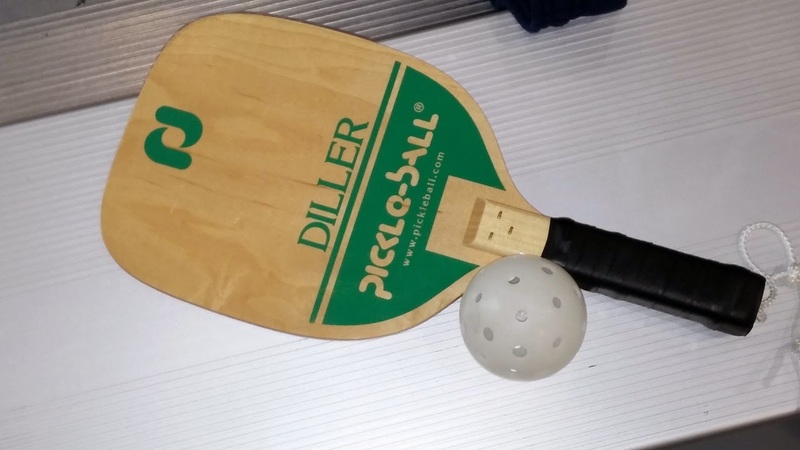 It basically is similar to tennis (and played on a tennis court) except it is played with a paddle about the size of a racquetball racket and a wiffleball. To win a match you have to score 11 points and only get a point on serve. The fact that the wiffleball doesn't travel as fast as a tennis ball has made it a good game for those of use who don't move as quickly as we used to move. But don't think that the matches are not competitive. 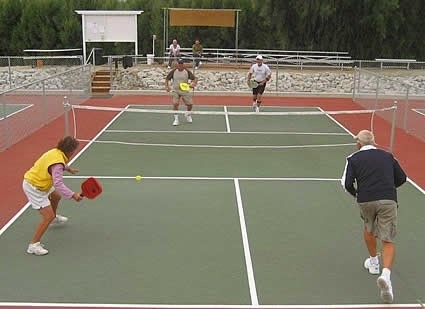 Howard County Parks and Rec and the Columbia Association have courts that pickleball can be played on. With the fast growing popularity of this game don't be surprised if you hear more about this sport in time. The digital revolution has created a problem with my last name of St. Clair. I used to like my last name for its unique quality. I often joked that most people had to die to become a saint but I was born one. But with digital databases my last name seems to never show up when I go somewhere and have a reservation. I don't know how many times I have tried to check into a hotel or pick up a prescription had be told they couldn't find my name in their system. I even had a problem with Social Security which had my payroll deductions in two different places. Same Social Security number attached to me one without the period but a space and one with Saint spelled out. Two employers had entered the different versions into the same system. Think that people working in the library system now how to alphabetize correctly? How would you alphabetize my name? The correct way is to spell out Saint and not alphabetize its abbreviated form of St. When I pick up a book on reserve at the library my book is sometimes alphabetized Saint, sometimes StC, and even a couple of times under the C's for Clair. Even though I say St. Clair I have run into times when the person entering my name heard Sinclair. I have heard the same complaint from people who have last names that can be spelled more than one way. Growing up people couldn't find our home phone number in the phone book because they looked under the StC and found some of my relatives alphabetized that way but our phone number was alphabetized Saint at the beginning of the S's. When it came time to get married one of my daughters couldn't wait to get rid of her last name to end this problem. As much as she liked her birth last name she had the same problems that I have experienced. After blogging for almost 4 years I thought it might be time for a change in the appearance of the blog. I am not sure if I like what I have changed to but might play around some more with its look. Notice I still favor the beach motif. Montgomery County joins New York City, Portland, Seattle, San Francisco and Washington D.C.in banning styrofoam containers. Our use of these containers contributes to a significant amount of what goes into our landfills and a significant amount of what is polluting our waterways. 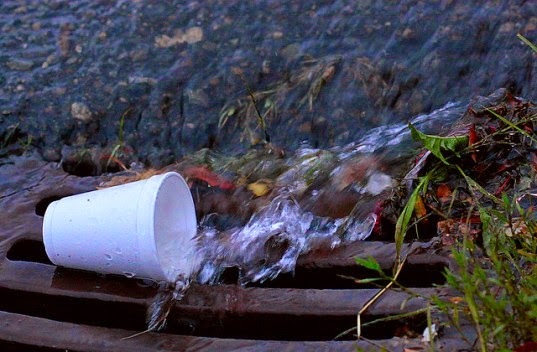 A report by the Anacostia Watershed Society indicated that 22% of the waste collected in one of their water traps was styrofoam pieces. Styrofoam tends to breakup into many smaller pieces which complicated cleaning up this material once it enters our waterways. The harm it causes to waterfowl who ingest this material is also significant. As local jurisdictions look at the bans some businesses are stopping the use of styrofoam. McDonalds and Dunkin' Donuts are just two that have dropped styrofoam. While some small business (and the producers of these materials) oppose the switch with the slightly higher cost of paper material containers it is a small price to pay on this end than the long term costs to the environment. Also not surprisingly opposition comes from those who oppose the government regulating our purchase options. This tension between the anti regulation crowd and the need to be more sensitive to our environment will continue as we come to environmental terms with how we are impacting our environment and learn to clean up our environmental messes. See how Baltimore is cleaning up the Inner Harbor. One more idea on how to clean the plastic from our oceans. I know that it is hard to imagine homes that don't have books for children but for many children in our area that is a fact of their growing up. The Maryland Book Bank takes donated children books of all types. They provide free books to teachers and organizations that work with children. The are located in the Baltimore Sun building on Calvert Street in Baltimore. If you have books to donate check out their website for times they are open. One of my Mother's sayings that I remember most was "if you can't say anything nice don't say anything." I thought of this the past couple of weeks while I was traveling (which explains my less frequent posts) and reading Trip Advisor reviews in each of the cities I visited. Trip Advisor is my bible on where to eat, where to stay and what to see. My Advisor handle is ColumbiaTraveler. I have learned that the only way to accurately judge a place on Trip Advisor is to look at the number and percentage of reviews that are in the excellent or very good category. All other reviews are meaningless if the place has a high percentage in these two categories. Knowing this I still find it interesting to read the reviews that rate one of the highly rated places as poor. Just what could be so bad about a highly rated place that they felt the need to post a poor review. Let me say that I have a hard time rating any place as poor. Somehow my Mother's saying comes back to me. I guess it is just my feeling that it is bad to criticize someone who tries to do something well and it doesn't come off well. Have you ever really been honest with a wait staff who comes by to ask how everything is? Even when the food I have is not great I find myself saying "OK." For me an OK really means I don't care for what I am eating. As an aside, I fantasize about when a server opens a bottle of wine for me to taste to quickly spit it back in the glass and say that the wine tastes bad. Isn't that the reason we are asked to taste the wine by a server? Really, at my level of sophistication on wine I probably couldn't tell a good wine from a bad one. Servers are wasting their time pouring for me to taste. Getting by to the poor reviews it seems that people who give these reviews to highly recommended places are the types of people who complain about much of life. They seem to be an unhappy lot who show this trait but running other people down. The cynicism is so heavy in their reviews that they must be the only people who know how to do something right. I try to avoid these people in my life. I am sorry for their poor self images and try not to let them contaminate by life. I may not have taken everything my Mother has said to heart but not being too judgmental is one saying that I have tried to remember. I have often spoken about our living in the "Columbia bubble." The truth in this is shown every time I travel when I notice a lack of diversity in the places I visit. Our country is becoming more diverse but much of this diversity is still more segregated than what we would hope. We are enriched by this greater diversity in Columbia. If you want to see this diversity spend some time watching people come into one of our libraries as I did a few months ago. I posted infrequently while I was travelling because generally my posts are Howard County based and I am not sure if my travelling observations are of interest to the people who read my blog. The crazy thing is I think about more subjects on which to blog when I am travelling. I have thought about labeling these blogs "observations from the road." Maybe I will do these blogs on a future trip.